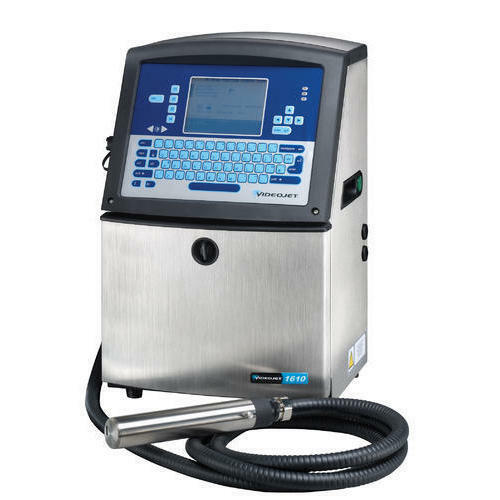 Data Interfaces "RS232, Ethernet, USB memory stick, select ZPL command emulation, Binary and text comms"
The Video jet Bar Coding Machine with two lines is a family of three high resolution, that provide class-leading, consistent print quality on porous and secondary packaging materials. These systems are designed and manufactured to reliably print accurate, high quality, real time alphanumeric codes, bar codes and graphics. Available in a range of print head heights to best suit your printing needs, the Video jet 2300 Series replaces pre-printed boxes and labels with a highly flexible, cost effective printing solution.